Its on like party pong! Summer fun and party pong go together like peanut butter and jelly and chocolate and cheese puffs and pizza and ice cream and salsa and nacho cheese (and all the other things pillage the cupboards for the morning after a bash). 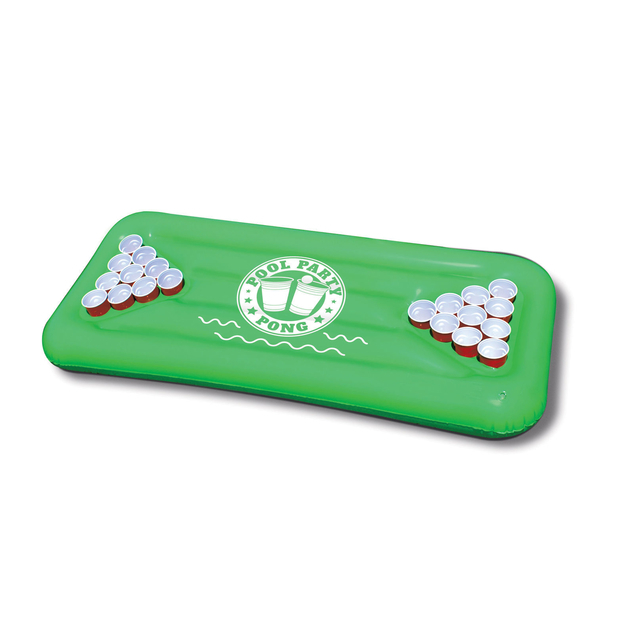 Our 5 foot inflatable beer pong table holds your cups in place to prevent the beer from spilling into the pool so you can keep cool when the action heats up. Play on!